The Essence Number is the one that is based on the name at birth, while most of other indicators are made of date of birth. In order to calculate the essence number, we need to use the number attached to each letter in your name. This indicator shows some things that can probably happen in your future. Don't hesitate and get your Essence Cycle Number Calculator today. This indicator is pretty important in numerological field, as it gives an understanding of the future events during your life. The numerological information regarding Essence Number will describe you possible situation you may face on your life way. Each of the essence numbers has certain characteristics of a particular person. 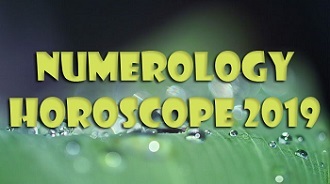 Numerological information will reveal some positive and negative aspects of your Essence Number. To find the Essence Number we use the name. Each number has a letter attached to it. It is not the easiest calculation in numerology, so you will need to be attentive. There are also some distinctions between the essence number cycle and the personal year cycle number that need to be taken into account. The essence cycle number and personal year number are combined in a specific and slightly troublesome way. If your numbers match and you have a duality, it is likely you have a problem. If you have the same number in two essential areas of your life you may feel lack of harmony. If your personal year is 4 and the essence cycle number is 4, it says that your work demands a lot of efforts and attention to the smallest details, which is hard. However, people around you also demand your attention and you often have to choose between career and rest. Your mental state will also add some troubles. General situation is not the best one, you feel like you can't get out of the tight corner. Individual letters and influences are the main foundation of the transits. The Physical, Mental and Spiritual transits impact your life in a particular time span of the year and together they create the Essence cycle number. The Essence Cycle is all the Transit Cycles of a particular year added together.